You love the idea of growing a garden full of vegetables, flowers, fruits, and herbs, but aren’t excited about pulling weeds, applying chemical pesticides, back-breaking digging, plants that don’t grow well, or toiling away under the merciless summer sun. Well here are my Top 5 Gardening Tips that are guaranteed to ease the pains and multiply the enjoyment and satisfaction that you will reap from growing an incredibly attractive and productive garden. Don’t make the mistake of waiting until the weeds are established before taking action. If that’s your strategy then you’re bound to spend wasted hours of pulling and hoeing in a vain attempt to catch up with overgrown weeds. Know thy enemy! Being able to identify your weeds from the moment they germinate will enable you to eliminate them when they are young and easier to control. At that time a light cultivation of the soil’s crust is sufficient to kill most sprouting weeds. 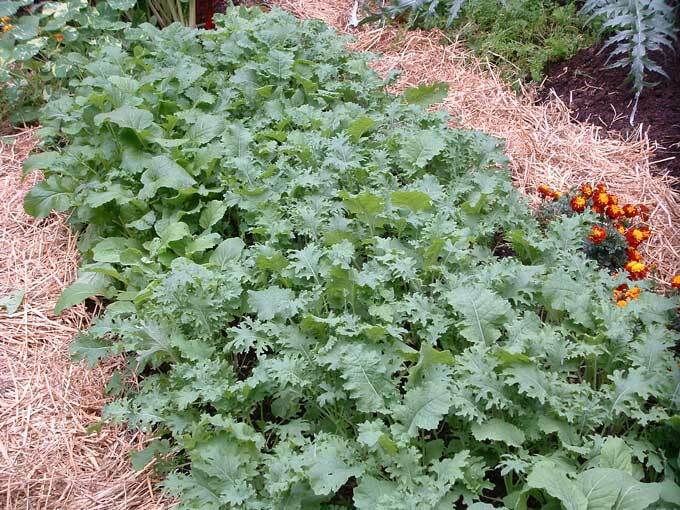 Other weed control techniques include using organic mulches, limiting or eliminating tilling, never allowing bare soil to be exposed, and my favorite; using a living mulch of cultivated crops to deprive weeds of the favorable conditions that they need to germinate and grow. Also, be sure that you NEVER allow weeds to flower or set seeds in or near the garden. Follow these simple suggestions and over time you will spend less time weeding and more time growing and enjoying your garden. Organically grown has finally gone mainstream and I’m not convinced whether that’s a good thing. Look around and you’ll find the term “organic” on everything from food and clothing to cleaning products and cosmetics. The popularity and marketability of organically grown products has created shortages and driven up prices but you can easily grow your own organic produce. 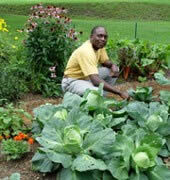 The key to organic gardening is to start by improving your soil through the addition of well-composted organic matter. Healthy soil will promote healthy plants that are more resistant and less prone to problems with insects and diseases. There are also natural methods and products available to deal with pests in a manner that is safe and less harmful to us and the environment. Pick up a good book on organic gardening or browse websites such as this one that will provide you with tips and information to grow productive gardens without the use of chemical fertilizers or pesticides. If you haven’t made the switch yet, then now is the perfect time to convert your garden into convenient and productive raised beds. Raised beds will maximize your growing area and provide a gardening environment that your plants will thrive in. It’s not difficult to raise plants in wide blocks rather than rows and the benefits are all-encompassing: increased production, fewer weeds, better drainage and moisture retention, more room for plants, no resources are wasted on non-productive space, and most importantly you’ll see healthier, happier plants. Raised beds will also assist in developing a loose, fertile, soil that is easy to maintain and prepare for planting. You can say farewell to that tiller, and hello to an easier way of gardening that will save time and effort in caring for your garden. No matter what type of plants you grow, I’m willing to bet that they will be more productive and lend themselves to a much more attractive garden when grown in raised beds instead of the typical rows of an ordinary garden patch. Whatever the crop there’s a whole world of interesting old-fashioned heirloom, antique, and historical seeds and plants for you to choose from. Forget the hybrid, patented, and genetically engineered plant varieties; I’ll stick with the good old heirlooms. Want to add interest to your garden and excitement to the dinner table? How about growing veggies and fruits in sizes, shapes, and colors that you won’t find at your local grocer? Want to experience the rich flavors that your great grandparents relished? Then it’s time to discover the fascinating world of heirloom varieties! There are brilliant purple beans, giant green eggplants, delicious golden beets, striped tomatoes, white cumbers, gourmet lettuces, ornamental palm kales, nutritious red carrots, exotic melons, fragrant old-fashioned flowers, and hundreds of other unique plants that you have never seen or tasted. There’s no rule that says a garden has to stop producing as summer comes to an end. 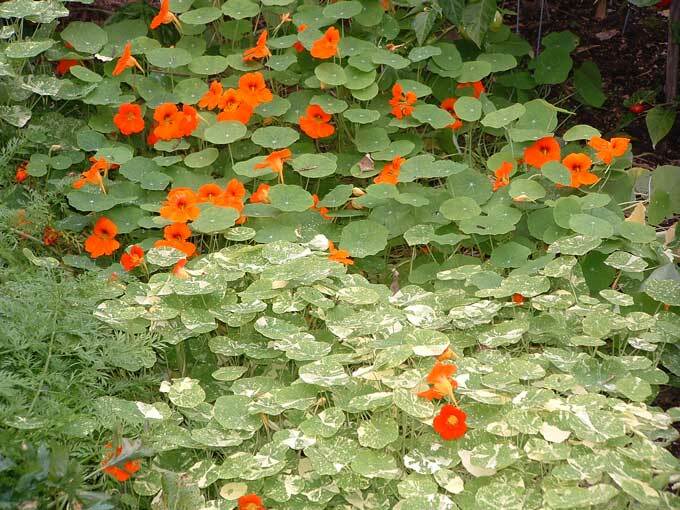 With a little planning you can extend your gardening far into the fall months. I routinely harvest fresh produce when other gardeners in my area can only look forward to next spring. If you take advantage of the opportunity you’ll find that fall gardening can actually be easier than growing during the summer season. There are few insects to contend with, less weed growth, and you can frequently get by without watering the garden at all. 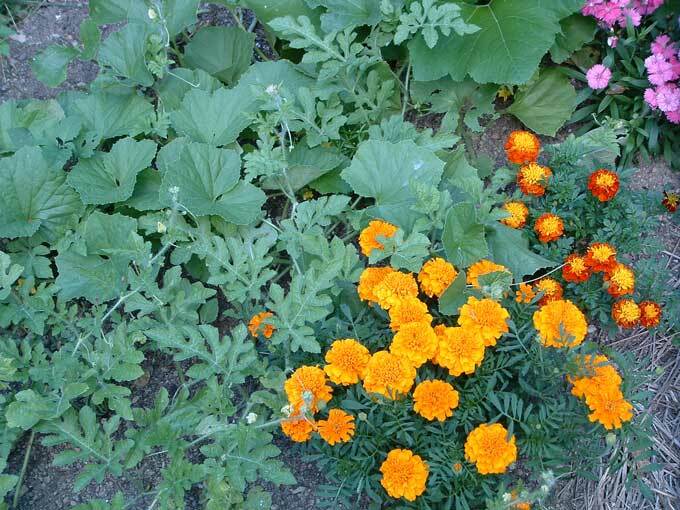 There are fall vegetables, flowers, and herbs such as calendula, kale, broccoli, mums, ornamental cabbages, leeks, and Mexican Sage that will appreciate a break from the summer heat just as much as you will. Best of all you get to extend your gardening activities and share the sights and harvests beyond summer’s end. There are also plants such as garlic, leafy greens, pansies, shallots, and leeks that can be planted in the fall to be enjoyed the following spring or summer. Those are my top 5 gardening tips, how about sharing a few of your own? 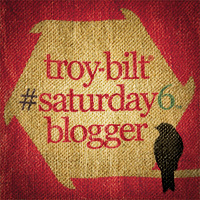 This post was entered as part of the ProBlogger “Top 5” Group Writing Project. You can create a Top 5 List of your own or add your favorite gardening tip in the comment section below. I agree with almost all of your tips, quite enthusiastically as I am a passionate gardener myself. The only point on which I diverge is that of growing organically. Due to solving some longstanding health problems with nutritional supplements in my household, I have started really looking at nutrional value in foods. It has been a bit disturbing because although organic food is decidedly less toxic, it may not have any more nutritional value than conventionally grown. I am looking at brix gardening, which uses a spectrometer to measure solids in a drop of liquid from the plant or vegetable to find nutritional value. Brix gardening includes some practices that are not in the official organic practices but are not toxic to people or the environment. I will be posting about this experiment in my own gardens as we move into summer and I get some sort of results with it, good or bad. Year after year, I never have to till or weed my vegie garden. In the spring, I prepare my raised garden, 6ft by 12 ft, in this way: Several times, early in the spring I use a pitch fork to break up the soil, add generous amounts of homemade compost, that has “cooked” since last fall, and then I even it out with a rake. When I am ready to plant, usually after a good soaking rain, I cover the earth with large pieces of overlapping cardboard and sucure them with garden stakes. I then cut out pieces of the cardboard where I will plant my seedlings. The only areas I leave uncovered, are where I put carrots, radishes, and onion sets. No hoeing or weeds to pull mean more time to enjoy other things. The cardboard not only reduces weeds, but retains moisture for an extememly long time, so no hand watering is needed. I only rely on rainfall. After the garden is harvested, I leave the cardboard down until the next spring, when it is half decomposed and easily ripped up to put in my compost bin. The following spring, the soil is so soft, it is very easily broken up with a pitchfork using hardly any effort at all. Several of my neighbors have commented that I garden the lazy way, but I think it is very efficient. Anyway, I wanted to leave a note and tell you how fabulous your blog presentation is here — I really enjoyed the template and organization, it is all very clear-cut and very well done, and very pleasant to visit! Great blog!!! I am not an avid gardener by any means but I wish I was. This blog is very informative and will be bookmarking for future articles!! Good luck with the comp! I am by no means a gardener! I usually kill any plant I get my hands on. I have however taken advantage of your second tip of going organic. My family signed up for a CSA (community supported agriculture) share from a local farmer that does all of his crops organically! We weekly pick up fresh organic veggies and fruits and too boot help a local farmer! You give some great tips those of which I’ll pass onto my hubby who IS the plant person in the family 🙂 Good luck with the group writing project! Thanks for the tips. Spring is here and the wife is out in the garden, so that means I will be too. I can use all the help, so your tips are great! Thanks! My love of Mother Earth and growing things goes without saying. . .thank you for your valuable information! 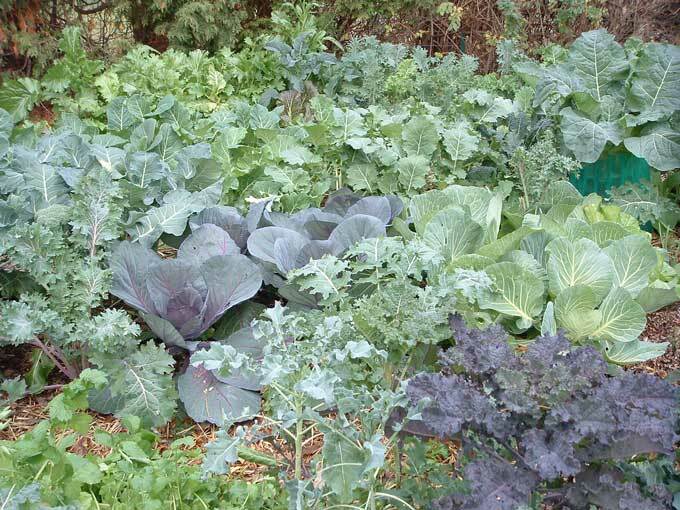 There are natural ways to keep your garden looking green and healthy. Maintaining your garden by lightly saturating it daily with water and using your compost soil will dramatically perk up the growth in your plants. The premium time to water your garden is in the early morning, so rise and shine! And for all those who can’t stand reeling in the hose, here is something for you. Check out the No Crank hose reel by going to the link below. 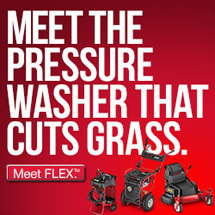 The power of water pressure rewinds the hose so you don’t have to! Water is a vital part of a flower’s life, but too much can upset the delicate balance of nutrient production. Too little will have the same effect. The outward signs of too much water are wilting and yellowing of leaves, especially those in the inner areas of the plant. Vegetables need about an inch of water each week. A good way to test the texture of your soil is with the “Ribbon Test.” After you take a soil sample, roll it back and forth in your hand. If it sticks together easily, it is high in clay, if it simply falls apart, it is probably has a lot of sand. Clay soils don’t drain well and are difficult for the roots to penetrate. Sandy soils drain well but don’t retain nutrients. Adding organic material will help both sandy and clay soils. Not sure how to make compost, well it’s simple. Start with a layer of chopped leaves, grass clippings and kitchen waste like banana peels, eggshells, old lettuce leaves, apple cores, coffee grounds, and whatever else is available. Keep adding materials until you have a six-inch layer, then cover it with three to six inches of soil, manure, or finished compost. 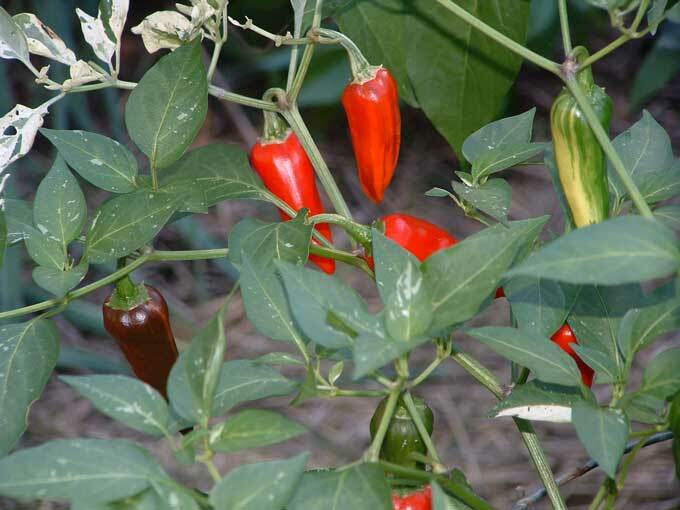 Your plants will love this natural food! Did you know the soil can determine the color of the hydrangeas you grow? Check out the link below for some awesome gardening tips. Good thinking. I like the last part about stretching the growing seasons. This idea never hit on me, till now. This Blog is really great. I enjoy all the posts and find it usefull to get quality content. I highly agree about the raised beds. This provides way more drainage and oxygen to the plants roots. Enjoyed your topics. I’m always looking for new ideas in gardening. Thanks for taking the time to post. I am from Ireland and I really enjoyed your gardening tips. Hopeful my Irish flowers will make good from them. Great tips. I have been trying to grow a great organic garden this year. It’s great to see others enjoying it as much as me. I agree with everything in your article. We’ve built raised beds on our new allotment and I think that is why we’ve been able to get produce in our first year. I think I’m going to have a go at some Heirloom Varieties next year. Thanks for tips, I have 1 also for organic tomatoes, I dig my holes in the fall for tomatoes, about 12 inches deep, put in 5 crushed corn cobs, 2 large hands full of rabbit manure, 1 half of coconut skin, about 3 inches of soil, and bam look out huge tomatoes, worms love this stuff, the cobs hold lots of water the manure for fertilizer and coconut for worms… oh lay tomato plant down straight when planting , will grow straight when sun hits them, put your cage over them then also.